Goa is not a place that you visit only once in your life. History comes alive in Panjim, the state capital, known as the ‘Rome of the East’. With unique culture and great natural beauty, Goa truly has something for everyone. Although North Goa get all the attention, if you are looking for some privacy, hit the beaches in the South. Utorda and Arossim Beach in the South are sure to relax you. When you want to party, North Goa is the place to be. Hit the Anjuna, Calangute and Baga beaches and find people having the time of their life. Time to let your hair down and PARTY! Indulge in water sports like scuba diving, parasailing, jet skiing and banana boat rides. These are offered at almost all the beaches and are good fun. To make the most of your Goa holiday, book your room at a beachside hotel. There are amazing spice plantations located in the Ponda area. Here, you can pluck and taste the spices, including the original Peri-Peri (one of the hottest chillies of the world) and original Indian pepper. Enjoy a bath in an elephant shower, and treat your palate with traditional Goan food enriched with fresh spices. While going back from the Spice Plantations, take a halt at the Butterfly Conservatory and get delighted by these colourful and happy creatures. You can even feed them juicy fruits. Pure joy! Old Goa is a UNESCO World Heritage Site. Visit it for churches built during Portuguese rule, with same dating back to the 16th century. The Basilica of Bom Jesus is renowned for its architectural brilliance. Sé de Santa Catarina is one of the largest and most visited churchs in Old Goa. There are also many art galleries, convents, bungalows and government buildings of architechtural significance located here. If you thought Goa is only about Beaches and Parties; then you would be wrong. The wildlife of Goa can be as interesting as the night life! Mollem National Park and the Bhagwan Mahavir Wildlife Sanctuary are a must-see to spot unique animals like the mouse deer, barking deer, sloth bears and even panthers. Sahyadri, located in Konkani at the foothills of the Western Ghats, is great for birding. You can spot more than 200 species of birds, including the Malabar pied hornbill, fairy bluebird, emerald dove and the great Indian black woodpecker. A market named Ingo, located in Arpora, is a potpourri of imported t-shirts, junk jewellery, hippie merchandise from Spain, Turkey and rest of Europe! Music plays there throughout and gets groovier as the sun sets. Use Trabug to figure out how to get there. With real dolphins on show, this cruise is exciting for both young and old. It’s coupled with a tour of the Grand Island and makes for a great day trip. Located in Panjim, the Restaurant offers finger-licking Goan and Portuguese cuisine. A must try savoury is the spicy Rawa Mussel Fry. Make reservations using Trabug. A trip to Goa is incomplete without trying the delicious seafood at Martin’s corner. The food at Martin’s Corner is truly legendary with prawn vindaloo, garlic chicken and king crabs on the menu. It’s located in South Goa, near Majorda. Relax with food and drinks at the beach! Candle lit tables placed by the beach side with scrumptous local cuisine and karaoke—St. Anthony’s Beach Shack is lively place that only gets louder as the sun sets. The peak tourist season is between October and January. The weather is just right to enjoy the beaches. However, Goa is at the scenic best during the monsoon from June to September. It’s also a time when hotels will offer some of their best deals. Goa’s airport is 29 km from the capital, Panjim. The airport is well connected with flights from most major Indian cities. If you’re felling adventurous however, we recommend driving the 600 kms from Mumbai to Goa. The route is beautiful with a lot of interesting stops along the way. 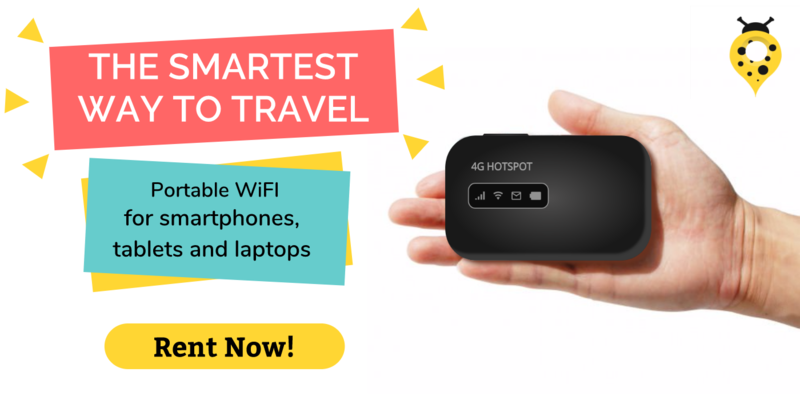 Trabug can act as your guide on this amazing road trip. 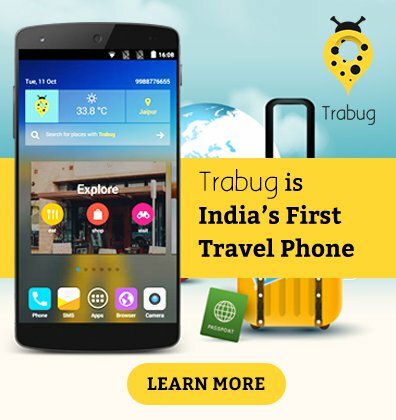 Get Trabug to enjoy a hassle free travelling experience in India. Know more about our plans HERE.